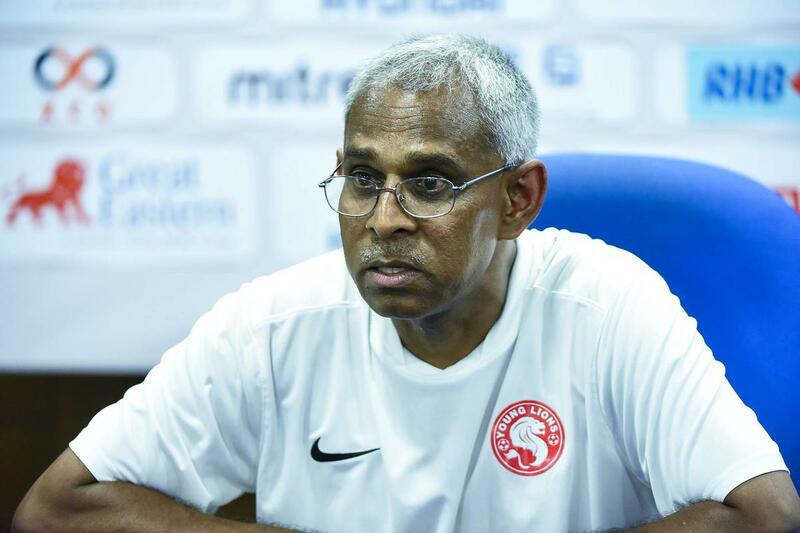 VINCENT Subramaniam (above), arguably Singapore’s highest qualified, award-winning coach, left the FAS (Football Association of Singapore) on Monday and in this no-hold-barred interview with The Independent, he categorically states what’s ailing the No 1 sport here. Never fearing to call a spade a spade, the 64-year-old with the highest AFC coaching degree (the AFC Pro Licence), says the root of the problem is in “poor coaching” and it would take the FAS “six to 10 years” before they come back to a decent regional playing field to compete with the best in Asean. “There are coaches who are betraying the game and are not ‘ethical’ in their profession. This we must act quickly to change. The profession must have credibility, honesty, respect, accountability. The curriculum was not respected or never exist,” he says matter-of-factly. The FAS must seriously get back to doing the coaching spadework because football educators make a world of a difference, says Subramaniam, a two-time S-League title-winning coach with Warriors FC (then known as Singapore Armed Forces FC) from 1997-98, and the S-League’s ‘Coach of the Year’ for both seasons. He was the Lions’ head coach from 1998 to 2001, taking over from Englishman Barry Whitbread after the Lions won the Suzuki Cup (then known as the Tiger Cup). It must be noted that when Subramaniam was the Lions coach for two years from December 1998, he had a win-percentage of 50 per cent in the first 20 games – 10 wins, three draws and seven defeats. The Lions had the highest FIFA ranking of 81 in December 1998 and now struggling at 165 (January 2019). In his books, there’s no compromise to the importance of excellent coaching in football. Turning to the 23-year-old SPL (Singapore Professional League), previously known as the S-League, he pleaded to FAS to “work hard to keep the professional status” to convince the “considerable large football fan base…who’re beginning to think that football is a television programme on weekends”. The widely-travelled Subramaniam, who has covered 41 countries when working with FIFA since 2011 and AFC since 1998, as FIFA Technical Consultant, based in Bangalore, India, says his “heart will always have a space for Singapore…if they call, I will come if I’m not engaged elsewhere”. 1 Your contract as FAS Coaching Instructor ended February 11 2019. How would you candidly sum up your recent one-year contract? Subramaniam: It was a busy year. The FAS Technical Department (TD) saw a transformation with several of its staff no longer there, including myself. We identified the areas we need to re-visit and addressed issues from youth development curriculum, tailored coach education syllabus, coach database, selection of national youth teams, TD processes. I’m confident all the suggestions will be addressed by those taking over the new reins. 2 How do you reckon you fared as part of your responsibilities which include monitoring the National Youth coaches, managing the coaches from clubs’ Centre of Excellence, School Football Academy and Development Centres, and supporting club coaches, plus FAS’ coach education as an instructor. It was a multi-facet role although my appointment was singularly to focus on ‘Coach Instructor’. Attending umpteen meetings with other department heads. It was a learning experience to understand the new management objectives, concerns and its operations. I interacted with several coaches, ex-nationals and club officials, many of whom were my former players. They were very forthcoming with their views and I truly appreciated their honesty. You can see in their ‘eyes’ that they wanted the ‘game’ to improve. I also became aware that there are coaches who were betraying the game and not ‘ethical’ in their profession. This we must act quickly to change. The profession must have credibility, honesty, respect, accountability. The curriculum was not respected or never exist. Obviously, the results from regional competitions have not been encouraging. The root of the problem was poor coaching. Coaches were not continuously upgraded with new trends, new methods, new skills to meet the modern game. Seriously, they had no accountability. Those coaching school teams were paid for sessions but not evaluated after. The inevitable outcome was poor quality of players. 3 How was your previous stint as the Garena Young Lions coach during the latter half of the 2017 season? The players were not up to the mark technically and lacked tactical adaptation. They passed through their ‘golden years of learning’ with the Sports School, Club COE (Centre of Excellence), NFA (National Football Academy) later called FFA (FAS Football Academy). The ‘quality’ of players left much room for improvement. The net for selection of players were ‘clouded’. The players worked hard but fell short of the commitment and effort required to excel at the higher level. They are either students or soldiers first, so when they come for the evening sessions they had limited energy left. 4 How do you think the FAS is headed in moving in the right direction and putting in place foundations that will bear fruit in future? What are the positives and negatives you anticipate in the coming months? FIFA and AFC are extending expertise in all areas for the MAs (Member Associations) to develop their resources, capabilities to realise their potential. They provide ‘experts’ with hands-on-assistance to all MAs to study and develop tailored programmes and assist in their long-term development plan. The recommended programmes and plans are presented to the MA leadership for their approval and endorsement. We have continued to be a beneficiary of this assistance programme. They also provide ‘follow-up’ assistance to ensure that we’re on the right track. Funds are also provided to implement the plans. So, it’s a small margin that we can go wrong. 5 You have always preached that your coaching philosophy is never for personal glory but for the development of the game. Are we on the right track towards football development? The ‘track’ is set by the management after involving all department heads. Michel Sablon’s plans were endorsed by the management. It’s still works in progress, in my opinion. The Technical Department head has to put in place processes to achieve the goals set by the management. There are intermediary check and balances. Chances are we will succeed in achieving the goals. It will take strength, believe and perseverance beyond the tenure of this management. In my opinion, the management has to engage appropriate staff with a good understanding of our community and social priorities. We have relatively a small industry and football cannot be a priority for many. 6 Your candid thoughts on FAS’s desired vision for Singapore football, especially keeping in pace with Asean neighbours, majority of who have made stunning improvements in recent years? The work identified to be done, especially the development of elite players and the game, would need a cycle of about six to 10 years. The current management would need to see beyond their remaining tenure. We also realise we cannot achieve these goals by ourselves and we have rightly engaged our supporting partners such Active SG, Schools Sports Council and Club Youth Programme. Working with Active SG opens a wide spectrum of areas where we can share their resources. It also brings back memories of FAS/SSC/MILO Soccer School where many stars were groomed, in the 1980s and dedicated coaches who contributed to the success. Today, I see that happening again with ActiveSG and in a much more extensive way. They are, however, lacking in technical expertise and I’m sure the FAS can assist. 7 In September 2017, you fired one of the most stunning broadsides at the management of local football, taking aim at a “lack of accountability” in the sport. You even lamented on pro footballers who work only two hours a day. Is there a future for the SPL (Singapore Professional League) over the next five years? The ‘scene’ has not changed much, to be honest. SPL clubs are now lamenting that they are lacking training resources even if they were to train twice a day on certain days of the week. The SPL clubs are finding it difficult to retain our national players with many venturing overseas for better prospects. Make no bones about this. This will dampen the quality of play in the SPL. I had reminded our coaches that we have to save the ‘game and save our profession’. We need to work hard to keep ‘professional’ status. 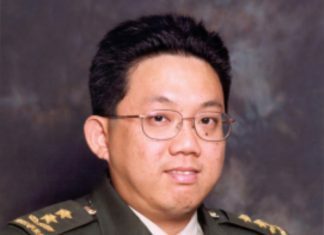 I came through the period where we were all mere amateurs, later semi-professionals and professionals in 1996 (when the S-League started). SPL definitely faces very challenging years ahead and will be in the shadows of other major regional leagues for some time. I touch my heart as I say this: We have a considerably large football fan base but they are beginning to think that football is a television programme on weekends! 8 How has the Lions changed since you were the national coach from 1998 to 2001? Singapore had one of the highest FIFA rankings during your time but now at one of its worst. Your thoughts? The FIFA/AFC ranking table has often been disputed by many countries. We, too, had several views on the matter but this ranking is the official barometer to see where we stand in the regional football frame. We’re now 165 with closest neighbours Malaysia (167), Indonesia (159) and Thailand (115) out of 211 FIFA-member countries. For the women, we’re ranked 118 out of 152 countries (Malaysia is at 89). But FAS is moving pragmatically towards improving and now ensures that the Lions play ‘A’-rated international matches during all the FIFA windows, throughout the year. Inevitably, the regional opponents and results will matter if we are to move up the table. I must admit that we’re on a tight wicket as our neighbours are also thinking likewise and we have to work harder and buck up as moving up the FIFA/AFC rankings will take longer than previously thought. 9 Your sincere views on the Lions winning the South-east Asian (SEA) Games in the coming years? Where do we lack in matching our faster-improving neighbours? The core players were identified since 2016 and had been kept together since as the ‘Young Lions’. The management has given its full support. We must not raise the expectations too high. My appeal to the Singapore fans is simply to have faith. To be confident Fandi Ahmad and his younger batch of players will do their best and we hope their best in the coming months will make us proud. We have to buck up significantly in every aspect of football. Unless we’ve higher-calibre training facilities and more dedicated and passionate coaches, our younger players will find it difficult, on the regional platforms, to execute techniques in tight areas as their physical levels are rather low for international matches. 10 How was your behind-the-scenes work with Technical Director Michel Sablon to realise the FAS vision and to ensure that the coaches are aligned with FAS’ youth training philosophy? My relationship with Michel goes beyond our shores. We share the same passion for the game. We were aware of the heavy responsibility but we were confident the implementation of the ‘Football Development Plan’, introduced by Michel, will pay dividends in the long run. But it’s important to persevere. The ‘brand’ of coaches we have today are rather different, they need to be continuously motivated, insured, rewarded and their welfare looked after. We must dedicate more funds, and more than courses, we need to identify talented and passionate coaches for further development. This is an important area where we must significantly do better. I must reiterate that the role of the coach is not just coaching! Football, or sports coaches, assist athletes in developing to their full potential. They are responsible for training athletes in a sport by analysing their performances, instructing in relevant skills and by providing encouragement. Positive relationship skills is a speciality we must always emphasise. Coaches who value and focus on effective, personal relationships with their younger players are guaranteed benefits regardless of wins and scores because they will have helped to influence positive moral and ethical behaviours. 11 As an Elite AFC Coaching Instructor, what are your future plans, perhaps with FIFA and AFC? I have travelled 41 countries when working with FIFA since 2011 and AFC since 1998. I was very well guided and tutored by FIFA experts and AFC tutors. I later worked as a ‘FIFA Technical Consultant’ and also as an ‘AFC Consultant’. I have gathered vast experience understanding the countries in nature and recommending tailored technical structures, training human resources and assisting in their long-term planning. I have established a very wide network. I know I’m well respected in the Asian region. I would certainly like to continue to build on my reputation with the AFC and FIFA. 12 Would you want to return to Singapore in the near future if you’re invited to do so in any capacity? I was in the service for 21 years and they are responsible for all I am today. Singapore will always be a ‘motherland’ deep in my heart. I’ve moved on to settle with family in Bangalore, India, (where I keep a close eye on FIFA & AFC coaching projects in South Asia and Central Asia). But my heart will always have a space for my country of birth, where I even served in the SAF in the 1970s as a regular non-commissioned officer. If there’s an opportunity in the near future to help in football or any other related sports arena, in Singapore, I will come if I’m not engaged elsewhere in any FIFA and/or AFC assignments. Period.